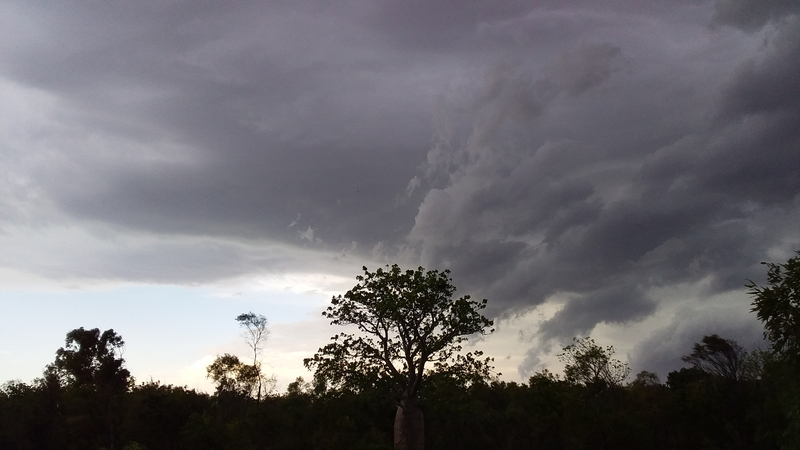 Wet Season Thunderstorm came rolling in at 4:00pm just as I started out for my walk. I got as far as the gate. Evil looking clouds all around us. Once the lightening started I skedaddled for home. The wet season is here. @Annie C Good decision, my friend!! Stay safe! A whole bunch of cows killed in NZ with a lightening strike!! 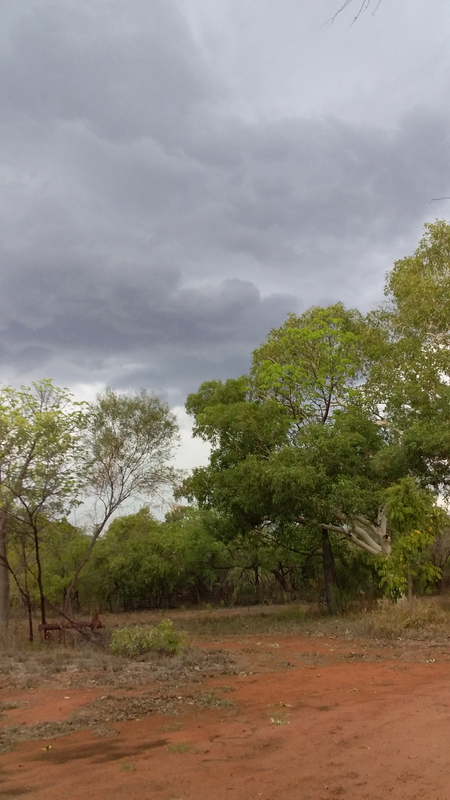 OOhh...looks ominous @Annie C - wet season Kimberley storm is on my bucket list....one day..... meanwhile I would love some photos over the season of anything specky! Consider it done. I use my phone camera. It has only one button - basically point and press. We once owned a Kodak Express Photo shop here in town. Ian was a Pentax and slide film man. He has over 10,000 slides that he has scanned and stored on an external hard drive with over 15,000 negatives that have not been scanned and stored. That was the advantage of owning a photo shop. Free film and processing. Never thought I would see him go digital. He has a Nikon D7100. And guess what he now has over 10,000 digital photos. I will get him to raid his Kimberley Wet Seasons folder. In the meantime here is one of his. 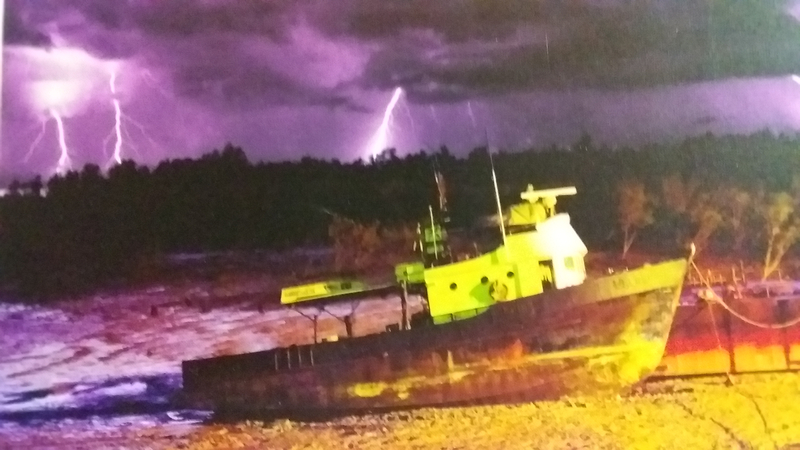 It is the Valhalla, taken during a lightening storm at low tide on slide film some 25 years ago. The framed photo hangs on our loungeroom wall. 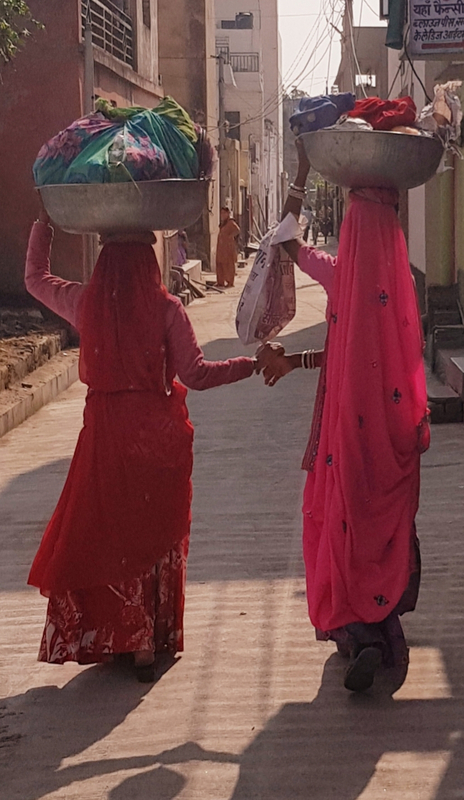 First day in India. Delhi. Thankyou Kate. Brings back great memories. I can almost smell India. Ah the cheeky monkeys on the roadsides! Keep 'em coming @kmakm - make us all REALLY JEALOUS ENJOY! Second day in Delhi, we went to the old part of the city. All narrow lanes, crazy wiring and crowds. This is the most delicious street food dessert that's only made in December. At 4am lightly sweetened fresh milk is whipped until it's froth, set and then sprinkled with saffron and pistachio. It's as if you're eating an angel's fart! The colours!!! I wouldn't like to be whipping that milk - whoever has that job must have muscles on their muscles. Arrived in Ajmer and on our walk to the lake we met a wedding horse. On the shore of the lake are several 16th century marble pavilions, built with marble from the same quarry that the Taj Mahal's came from. For the emperor to lounge in on a hot day, catching a cool breeze off the water, as you do. As always in India, reality is not far away... Between two of the pavilions is this!